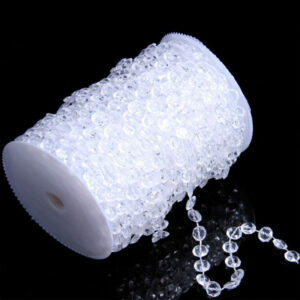 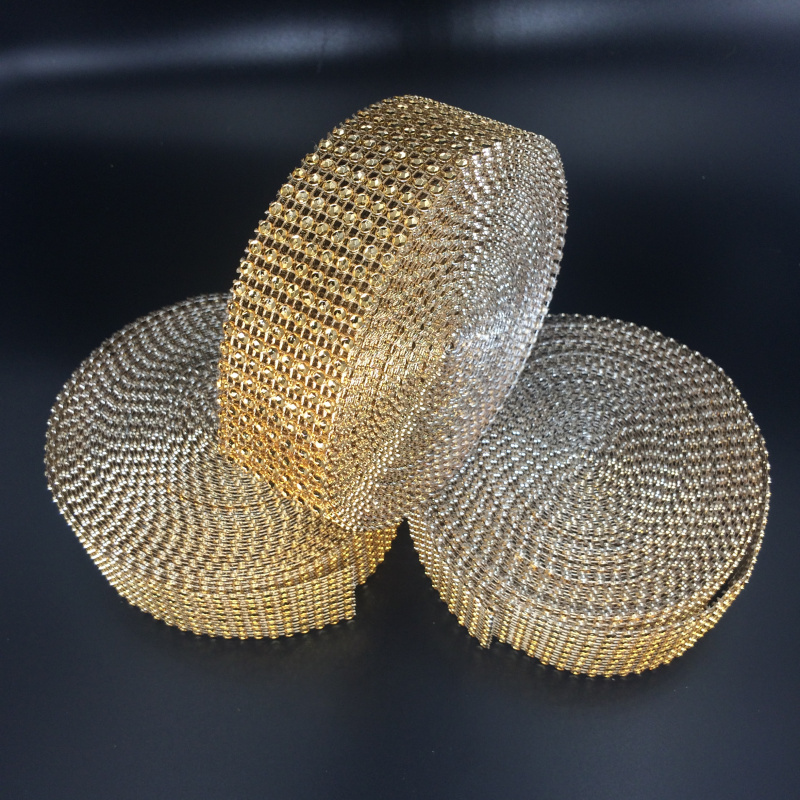 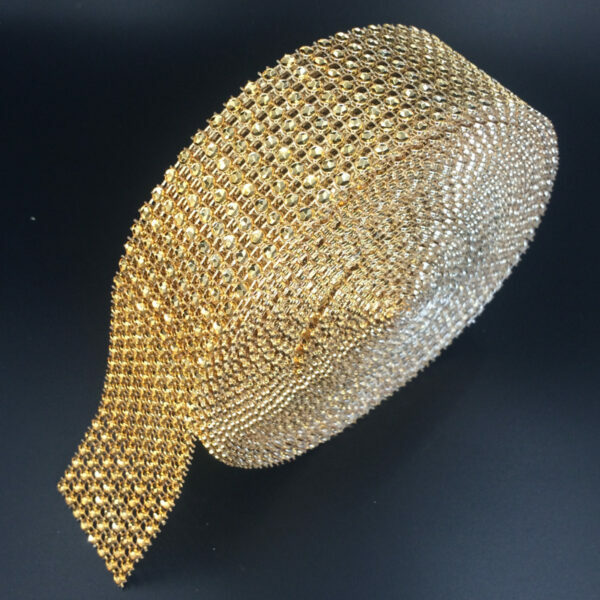 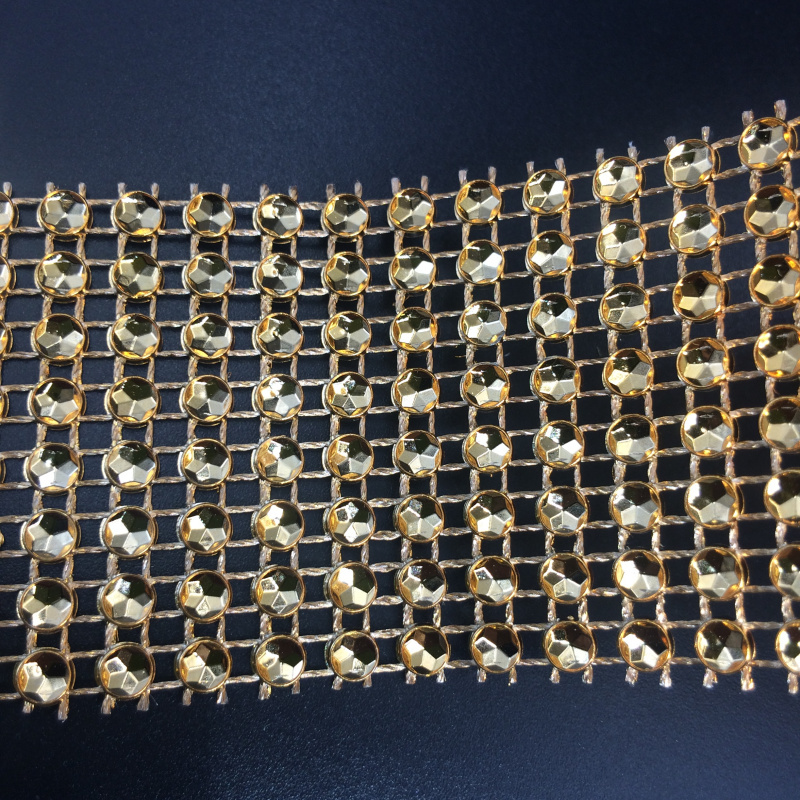 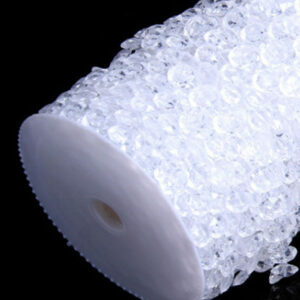 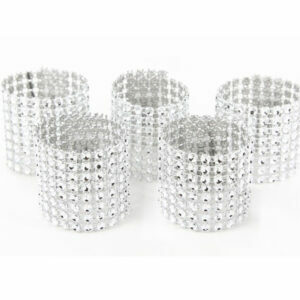 Diamond Mesh Wrap Ribbon Roll is a bendable trimmable ribbon. 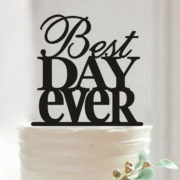 The ribbon has 8 rows diamonds across and is 1.5 inches wide and 10 yards long. 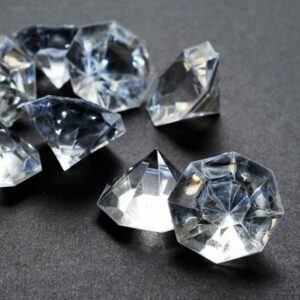 It can be cut with scissors to any shape you desire. 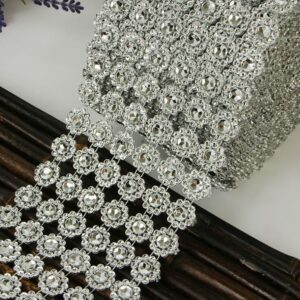 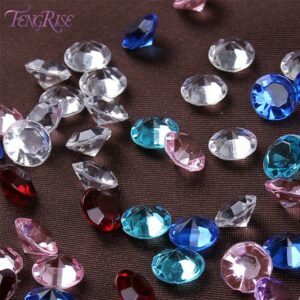 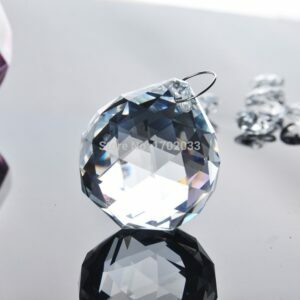 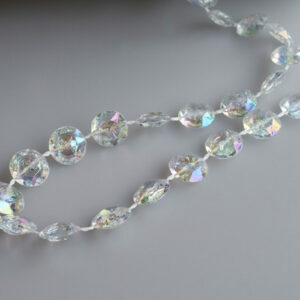 Wrap this rhinestone ribbon around wedding bouquets, candles, candle holder, vases, cake stands, table and chairs to provide a truly elegant look. 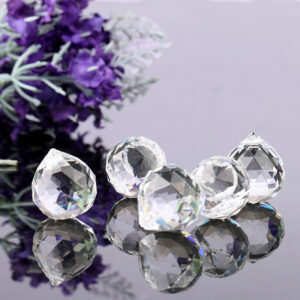 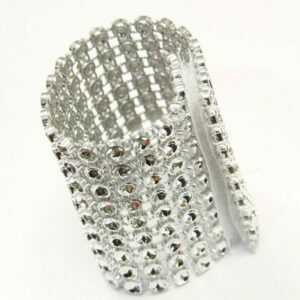 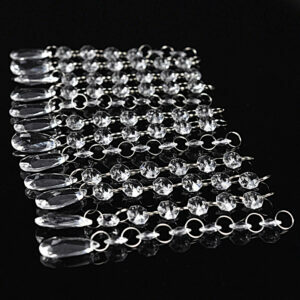 No Rhinestones in diamond mesh wrap. 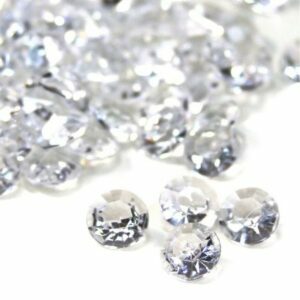 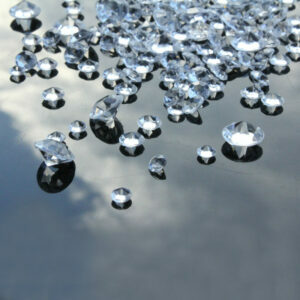 The indentation gives the appearance of a diamond because of optical illusion.